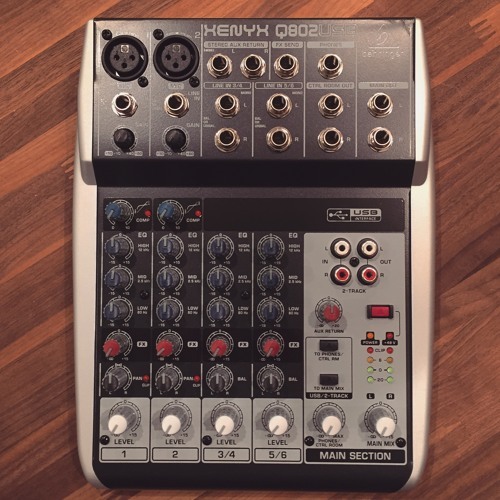 Recording with the Behringer Q802USB (http://podhelp.me/Q802USB)* via USB output to Adobe Audition. You're hearing me setup the mixer for the first time with the primary focus on the preamps. Is it clean? Yes. Surprisingly clean. I'm impressed with this little mixer so far. This is the raw 44.1 16bit .wav recording, no post processing was applied. In one section I demo the built in, single knob compressor. Microphone used was the ATR2100 via XLR output. *all links should be considered affiliate links. You can read my ethics statement about these links at http://thepodcastersstudio.com/ethics. Thanks for the support! Thank you SO MUCH for this part of the demo. I think I've been trying to find someone to demo that compressor function for the last 4 hours or so. I do live streaming, so having that built in could be a god send. I may have to give this thing a shot =) Thanks again. Thank you SO MUCH for this part of the demo. I think I've been trying to find someone to demo that compressor for the last 4 hours or so. I do live streaming, so having that built in could be a god send. I may have to give this thing a shot =) Thanks again.